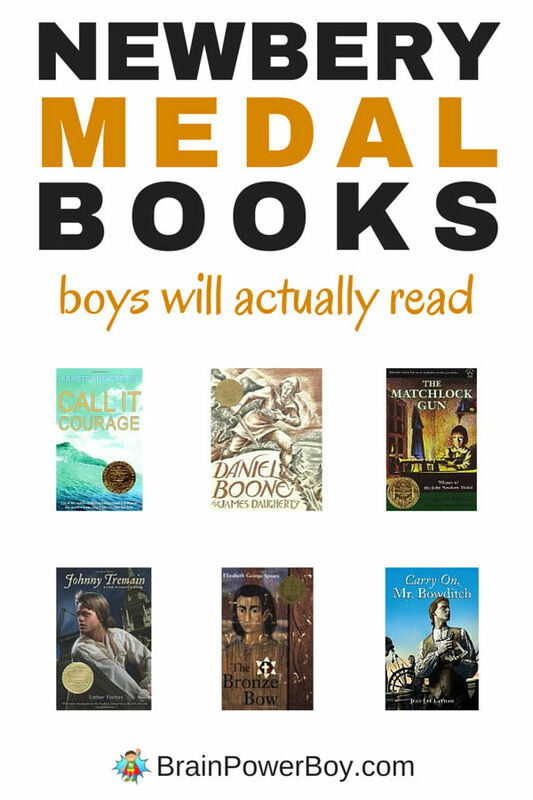 Newbery Medal Winners Boys will Actually Read! Are you trying to get your boy to read something other than The Diary of a Whimpy Kid? Does he have to read an award winner for school? Finding award winning books that boys today will actually read can be a bit of a task. There are a lot of book awards given and to be honest a lot of the books are not super popular with boys. The Caldecott book award is actually our favorite and we have read a lot the winners. With the Newbery Medal Winners it was a different story, so to speak. There are over 90 Newbery Medal books but there are only a handful that we really liked. Here is our list of the books we think boys will actually read – and enjoy. I hope this helps you out. If you don’t need an award winner but are looking for books for your boy try our best books for boys lists. We have quite the collection of book lists for boys! Those are our picks for Newbery Medal Winners that boys will actually read and enjoy. There are a lot of good books out there and while I don’t always agree with the books that win the medals each year, I do think these are good books. See also: Caldecott Medal Winners with drawing activity. Our activity today is a super simple one and likely stems from our feelings that the books chosen to win Caldecott and Newbery Medals are almost never books that we would have selected. Keep track of the books you read that are really, really good. Books that your whole family just loves. Make a plan to have an award ceremony once a year. Each month keep track of the books that you really like. Add your favorite title of the month to the book log. You can do this for picture books, comic books, and/or chapter books or focus on illustrations like the Caldecott does. It is up to you. At the end of the year, pull out your award log and take a look at which books won for each month. Discuss why you liked each book. Make it an event! Snacks and treats are encouraged! 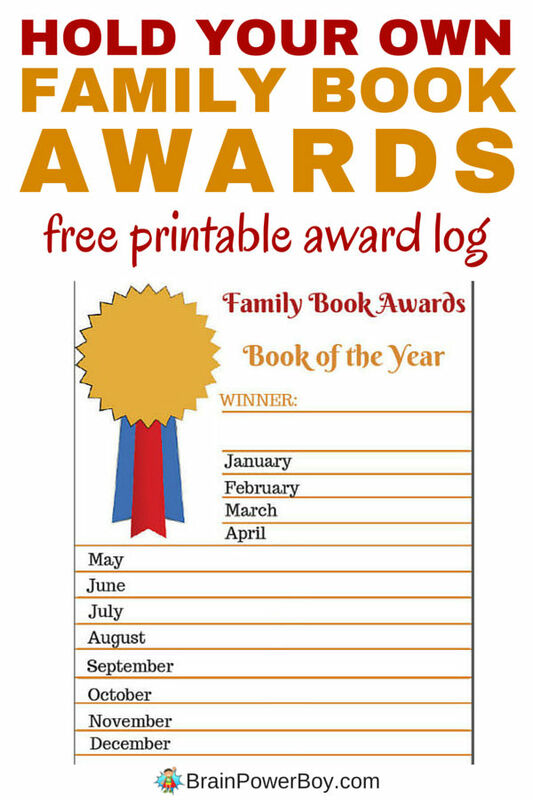 Download your Free Printable Family Book Award Log <<<<<< click link to download. Read Newbery Medal Winners with your boy and be sure to create your own family book awards as well. It is a wonderful way to keep track of the books you have read and that had a lot of meaning for your and your family. Store your book award sheets in a safe place. They would make a lovely gift for your boy when he gets older.